RPSC RAS Syllabus 2018: Download RPSC RAS Syllabus PDF in Hindi as well as English to start preparation of RPSC RAS RTS Pre- Mains Exam 2018. RPSC RAS Exam Syllabus can help you to be aware from the topics from which questions will be asked in the examination. As per RPSC RAS Pre Exam Syllabus, The Preliminary Examination will consist of one paper of objective type and carry a maximum of 200 marks. Questions will be asked from General Knowledge and General Science. For more details, check this page soon. Contenders can download Subject wise and Topic Wise RPSC RAS Syllabus 2018-19 PDF by going through the following which have provided by the team members of www.privatejobshub.in for prelims and mains separately. Rajasthan Public Services Commission organizes a competitive examination for the selection of candidates to Rajasthan Administrative Service (RAS). 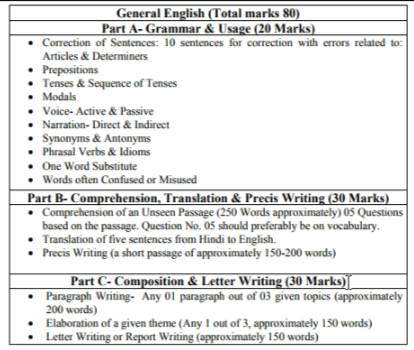 In this regard we are presenting RAS Syllabus for prelims and Mains Exams. Aspirants who are going to participate in Rajasthan Administrative Service examination can follow below mentioned RAS Syllabus 2018. Syllabus for Raj.State and Subordinate Services Comb. RAS Pre Syllabus is mentioned in detail. Aspirants may follow and must practice only those topics that are included in RAS Prelims Syllabus 2018. All the topics of all sections are mentioned in below table for RAS Syllabus 2018 for Preliminary examination. Major Landmarks in the History of Rajasthan, Major Dynasties, their Administrative and Revenue System. Socio-Culture Issues. Freedom Movement, Political Awakening and Integration. Local Dilects Fairs, Festivals, Folk Music and Folk Dances. Rajsathani Culture, Traditions and Heritage. Religious Movements, Saints & Lokdevtas of Rajasthan. Art, Culture, Literature and Architecture. Modern Indian history (from about the middle of the eighteenth century until the present)-significant events, personalities and issues. The Freedom Struggle & Indian National Movement-its various stages and important contributors and contributions from different parts of the country. Social and Religious Reforms movements in the 19th and 20th century. Post-independence consolidation and reorganization within the country. Broad physical features and Major physiographic divisions. Minerals –Iron, Manganese, Coal, Oil & Gas, Atomic minerals. Major Industries and Industrial development. Climate, Natural Vegetation, Forests, Wildlife and Bio-diversity. Major Industries and Potential for Industrial Development. Government of India Acts: 1919 and 1935, Constituent Assembly. Nature of Indian Constitution; Preamble, Fundamental Rights, Directive Principles of State, Fundamental Duties, Federal Structure. Constitutional Amendments, Emergency Provisions, Public Interest Litigation (P.I.L.) and Judicial Review. Nature of Indian State, Democracy in India, Reorganization of States, Coalition Governments, Political Parties, National Integration. Union and State Executive; Union and State Legislative, Judiciary. President, Parliament, Supreme Court, Election Commission, Comptroller and Auditor General, Planning Commission, National Development Council, Central Vigilance Commission (CVC), Central Information Commission, Lokpal, National Human Rights Commission (NHRC). National Public Policy as a welfare state. Various Legal Rights and Citizen Charter. Governor, Chief Minister, State Assembly, High Court, Rajasthan Public Service Commission, District Administration, State Human Rights Commission, Lokayukt, State Election Commission, State Information Commission. 5 Year Plans -Objectives, Strategies and Achievements. Major Sectors of Economy-Agriculture, Industry, Service and Trade-Current Status, Issues & initiatives. Major Economic Problems and Government Initiatives. Concept, Types, Causes, Remedies and Current Flagship Schemes. Major Agricultural, Industrial and Service Sector Issues. Class/Minorities/Disabled Persons, Destitute, Women, Children, Old Age People, Farmers &Labourers. Electronics, Computers, Information and Communication Technology. Human body, Food and Nutrition, Health care. Environmental and Ecological Changes and its Impacts. Agriculture, Horticulture, Forestry and Animal Husbandry with special reference to Rajasthan. Development of Science and Technology in Rajasthan. Statement and Assumptions, Statement and Argument, Statements and Conclusion, Courses of Action. Mental Ability: Number series, Letter series, Odd man out, Coding-Decoding, Problems relating to Relations, Shapes and their sub sections. Elementary knowledge of Mathematical and Statistical Analysis. Number System, Order of Magnitude, Ratio and Proportion, Percentage, Simple and Compound Interest, Data Analysis (Tables, Bar diagram, Line graph, Pie-chart). Now, qualified candidates in RPSC RAS Prelims Exam have to undergo RAS mains Exams for which details of RAS Mains Syllabus is mentioned here. RAS Syllabus of Mains exam for Paper-I, II, III and IV is provided below in a table. You can go through it and prepare for exam accordingly. Major landmarks in the History of Rajasthan from Pre-historic time to close of 18th Century, Important dynasties, their administrative and revenue system. Salient events of 19th& 20thcenturies: Peasant & Tribal Movements. Political Awakening, Freedom Movement and Integration. Important works of Rajasthani Literature and Dialects of Rajasthan. Indian heritage: Fine Art, Performing Art, Architecture & Literature from Indus Civilization to British Era. Religious Movements and religious philosophy in Ancient and Medieval India. Imperialism and colonialism in Asia and Africa. Recent Trends in Indian Economy: Role of Foreign Capital, MNCs, PDS, FDI, Exim Policy, 12th Finance Commission, Poverty alleviation schemes. Global Economic issues and trends: Role of World Bank, IMF & WTO. Concept of Developing, Emerging and Developed countries. Agriculture, Horticulture, Forestry, Dairy and Animal husbandry with special reference to Rajasthan. Industrial Sector- Growth and recent trends. Growth, Development & Planning with special reference to Rajasthan. Recent development and issues in service sector of Rajasthan. Major Development Projects of Rajasthan- their objectives and impact. Public Private Partnership Model for Economic Transformation in Rajasthan. Demographic Scenario of the State and its impact on Rajasthan Economy. Issues and Problems of Society. Tribal community of Rajasthan: Bhil, Mina (Meena) and Garasia. Management – Scope, concept, functions of Management – Planning, Organizing, Staffing, Direction, Coordination and Control, Decision-Making: concept, process and techniques. Properties of matter, electrostatics, current electricity, moving charge and magnetism. Broad Physical Feature: Mountains, Plateaus, Plains, Lakes and Glaciers. Earth and its Geological time scale. Broad Physical Features: Mountains, Plateaus, Plains, Lakes and Glaciers. Broad Physical Features: Mountains, Plateaus, Plains, Rivers and Lakes. Livestock, Wildlife and its Conversation Agriculture- Major Crops. Mineral Resources: (i) Metallic Minerals- Types, distribution and Industrial uses and their conservation. (ii)Non- Metallic Minerals- Types, distribution and Industrial uses and their conservation. Court, High Courts, Judicial Review, Judicial Activism. National and international importance, recent activities related to games and sports. Concepts of power, authority, legitimacy, responsibility and delegation. New dimensions of public management, management of change. Kantian ethics, Ethics of Bhagavad Gita and its role in administration. Behaviour, Moral and Political attitudes of administrators. Styles of learning, Models of memory, causes of forgetting. Nature, type, Sources, Symptoms, Effects, Stress Management, Promotion of Positive health and well being. Every year huge number of participants appears for this exam with the same motive, however the examination in held in two phases that are RPSC RAS Pre & Mains Exam. 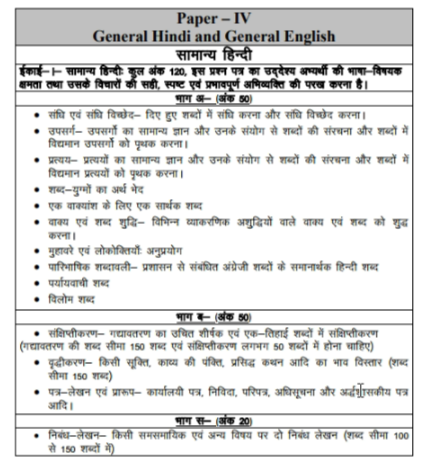 You may download PDF of RPSC RAS Syllabus 2018 in Hindi and Paper Scheme from the below section of this page!! RPSC Rajasthan Administrative Service Examination is a tough competitive exam at state level so aspirants must carefully go through the latest RPSC RAS Syllabus 2018. This will surely help the aspirants to prepare their schedule for better preparation of exam in advance. To download RAS Pre Syllabus 2018 In Hindi Pdf and RAS Mains Syllabus 2018, candidates can hit provided link. To attain more details regarding RPSC RAS Syllabus, candidates are required to visit the official website of Rajasthan Public Services Commission. For queries or doubts related to RPSC RAS Syllabus 2018-19 candidates are free to ask us by typing it in the below given comment box, we will surely respond to your query as soon as possible. You are suggested to stay tuned with this page so, bookmark this page by using control + d key. Candidates can also follow us on Facebook, Whatsapp, Email or Twitter to get the regular updates directly on your wall or subscribe to our free mail services for notifications into your mailbox.